Designed for 1986-91 Tuned Port Injected (T.P.I) 5.7L small-block Chevy Corvette engines originally equipped with centerbolt valve covers. Performer centerbolt cylinder heads are 50-state street legal and accept factory centerbolt valve covers. The intake bolt pattern utilizes the 1986-91 (straight) 90° angle on all bolts. Spark plugs are angled like stock O.E. heads. Technical Notes: Recommended spark plugs are Champion RC12YC or equivalent 14mm x 3/4" reach with flat gasket seat. 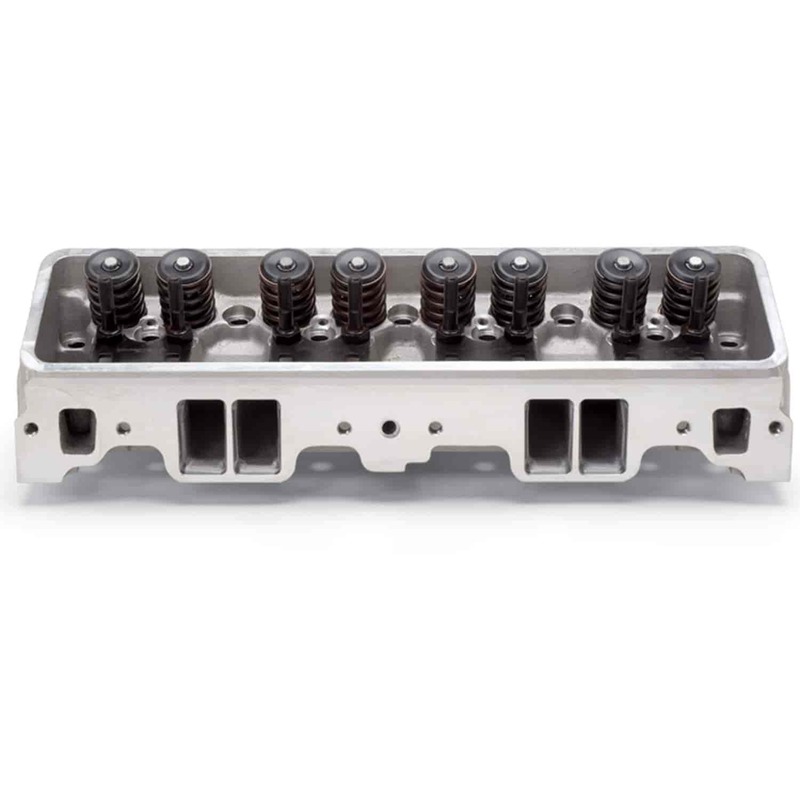 Edelbrock Performer Aluminum Cylinder Heads are designed, cast and manufactured in the USA for unsurpassed quality. The top quality features incorporated into these heads include: highly effecient port design, state-of-the-art combustion chamber shapes, manganese-bronze valve guides, and threaded inserts in the exhaust bolt holes and rocker stud holes for strength and durability. They provide great torque and horsepower up to 5500 rpm and are 50 state emissions legal to fit emissions controlled engines, E.O. Number D-215-49! Does Edelbrock 60879 fit your vehicle?